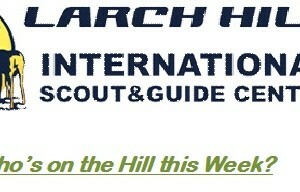 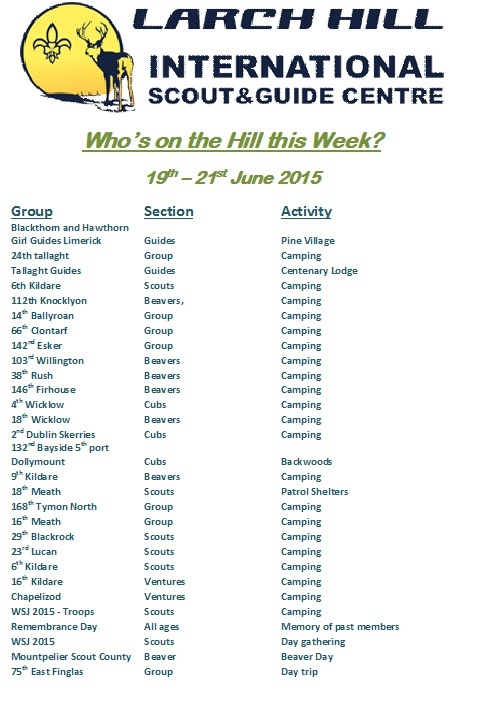 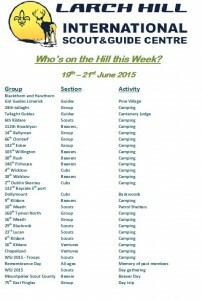 Who's in the Hill: There is 700 people and 18 groups camping in larch hill this weekend with 300 beavers and 200 cubs under canvas. 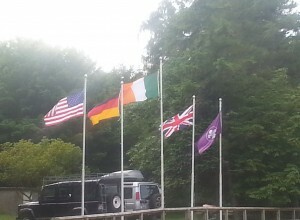 It is great to see so many campers particularly the beaver scouts. 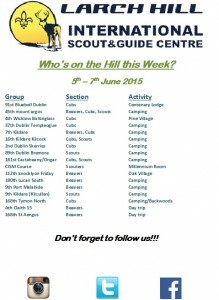 We hope you all get good weather.